For some reason I cannot modify my first post, but here are some results. I have been actually doing some further research on drops and bump steer and I think I was wrong with my first statement. 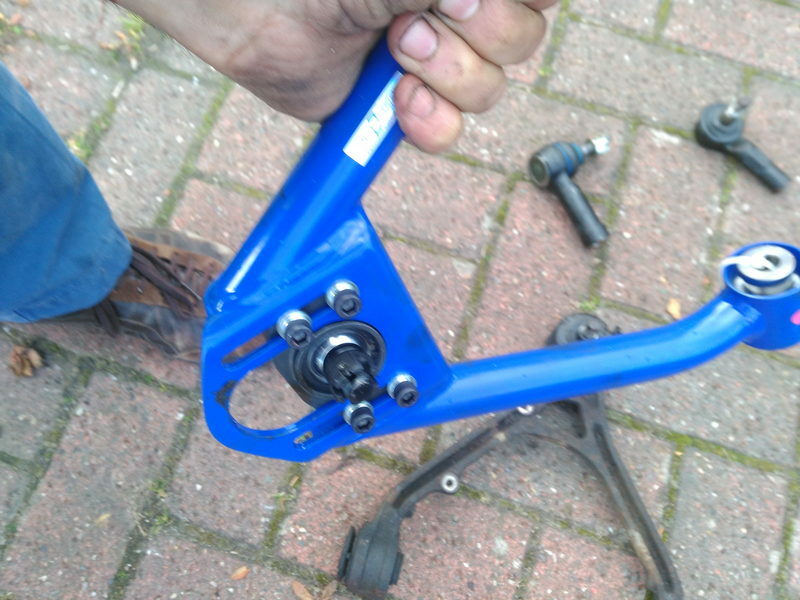 The bump steer kit will actually make it worse as per my calculations. 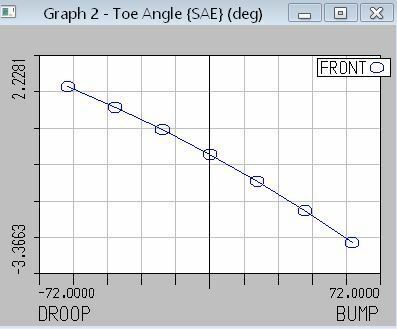 It is true that the angle of the track rod will be greater if you lower it, but, as per my calculations, the bump steer (or toe change with wheel travel) will be better (less toe change). Nevertheless, I believe that bump steer should not be too bad in a lowered car. 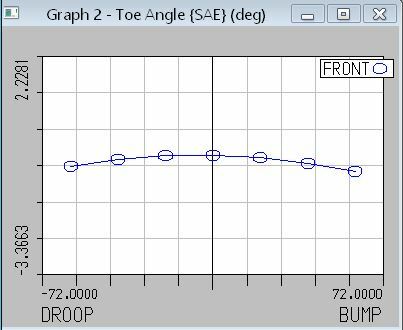 Other thing is that if you use wider track with new wheels, the scrub radious (or KPI at ground) will be significant and bump steer "feeling" will be multiplied. 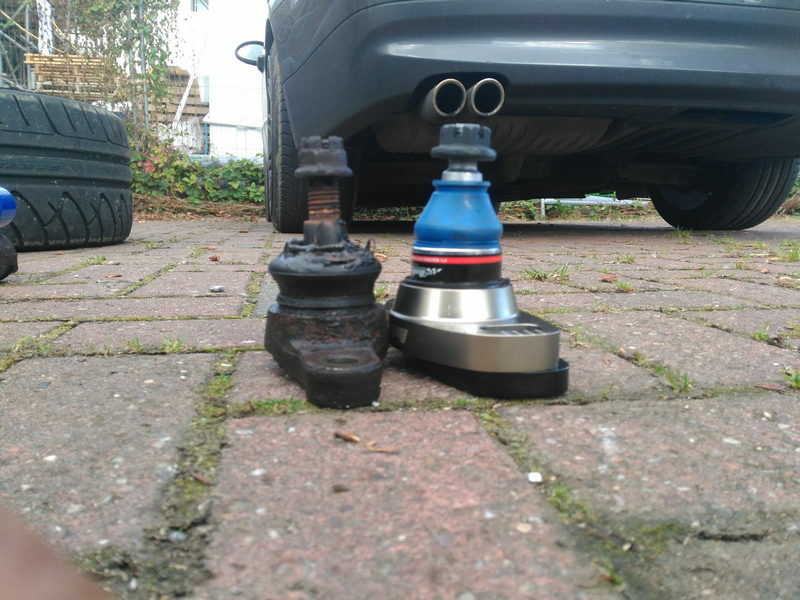 I have now lowered the car to a streetable -25-30mm front and -20-25mm rear from stock. Also take into account that my current track width is 90mm wider on the front from stock 16" OEM wheels, however the results obtained by rising or lowering the steering rack might be similar. Here is the model with -2.4º camber and my current set-up (buddyclub adjustable lower wishbone ball joints + top adjustable japspeed wishbone). I have now got the front inst. centre of rotation inside the track width (OEM was quite far away when lowered), in order to obtain more camber gain with travel. However, the con is that roll centre height is a bit higher. 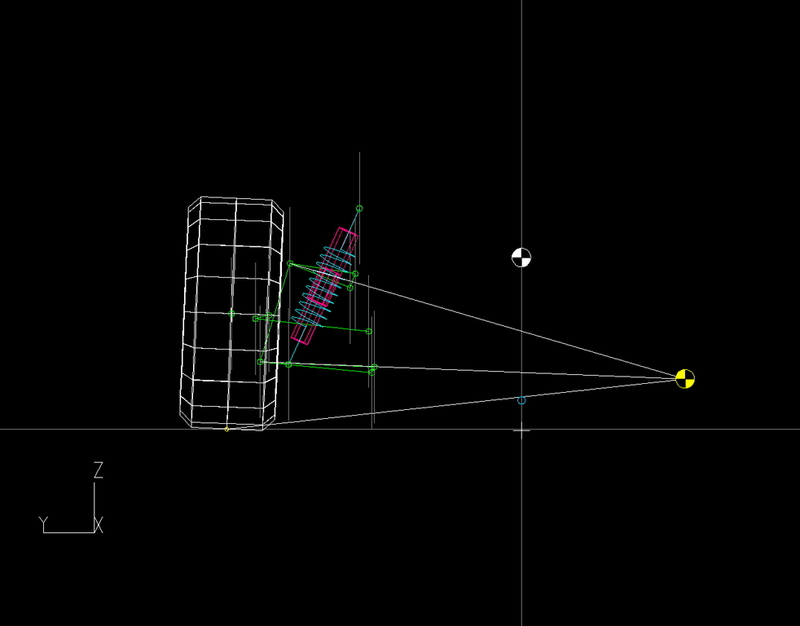 Due to a relative high front CG, the roll moment is quite important and can make the inner rear wheel lift (or jack), so, by rising the roll centre, at least, you are able to reduce the roll moment (distance between roll centre and CG), and making it similar to the rear and avoiding rear inner wheel lifting. 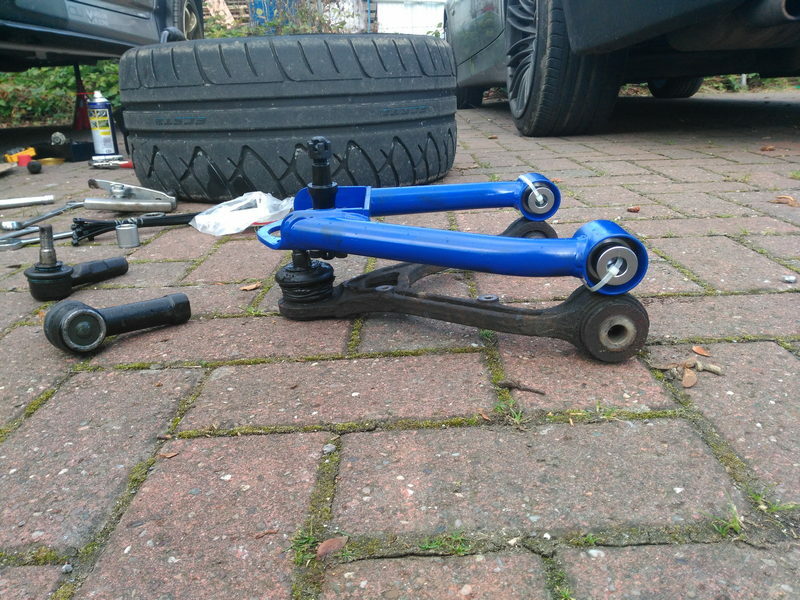 In case you are interested in my new set-up, here are some pictures of the buddyclub front adjustable lower ball joint and the japspeed adjustable front upper arm against the OEM. 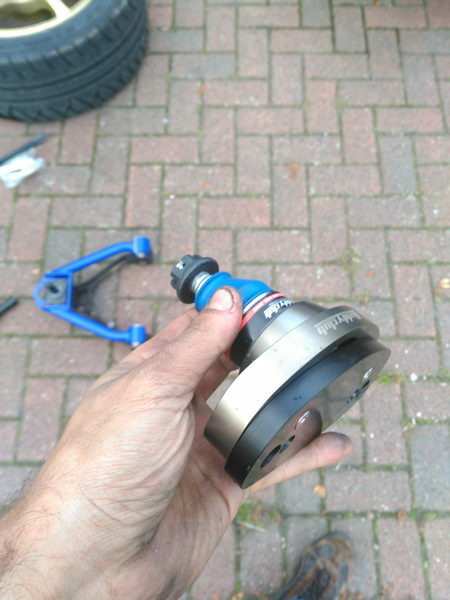 I am planning actually to use the Buddyclub ball joint in the other way around. As I have increased the track width by a good margin, I am trying to reduce scrub radious. 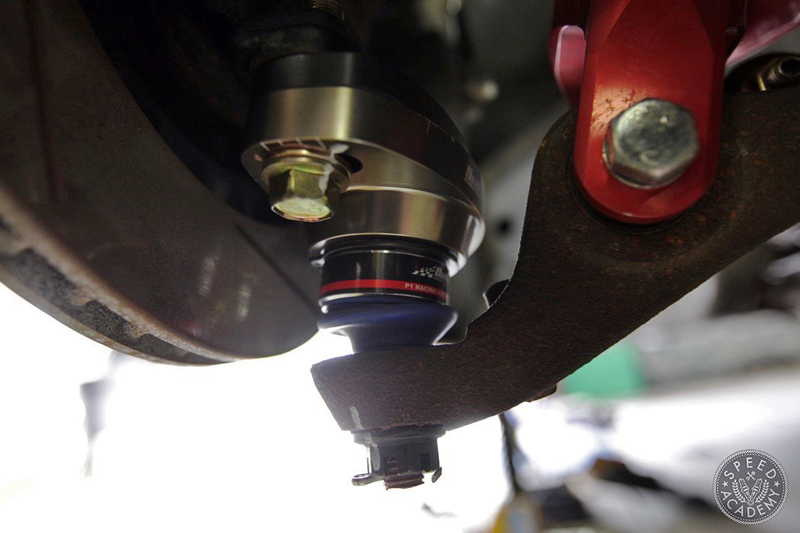 Therefore, I will flip over the buddyclub ball joints and will use the adjustable plate to put the upright inwards (and therefore will give me less camber or more positive camber) and keeping the ball joint in the same position but closer to the wheel contact patch therefore reducing scrub radious. I will compensate the camber with the shorter effective length upper arm (Japspeed) that will also give me less scrub radious too. 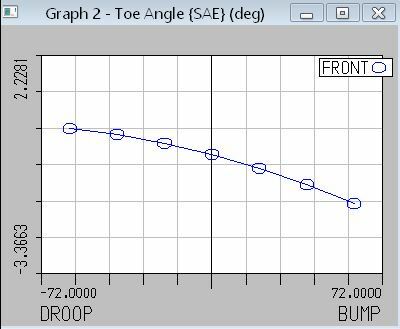 My calculations show that with the Buddyclub ball joint to the maximum inward position adjustment + maximum camber with the Japspeed wishbone + adjustment of the OEM camber GEO bolt I´ll be able to get -2, -3º camber maintaining the original 6-7º caster.